Making Miso Soup Is Quick And Easy! Miso soup is one of the simplest and one of the most soothing soups out there – both easy to make and satisfying to eat. It may contain vegetables and tofu or it may be broth alone. I think of it as the vegetarian version of chicken soup when you need something comforting or healing. Even when the weather is warm and another hot soup would be too heavy, miso is light but substantial enough to make a healthy meal. A typical Japanese breakfast includes miso soup – it is a tasty option on a cool morning and an easy way to add more veggies to your diet. 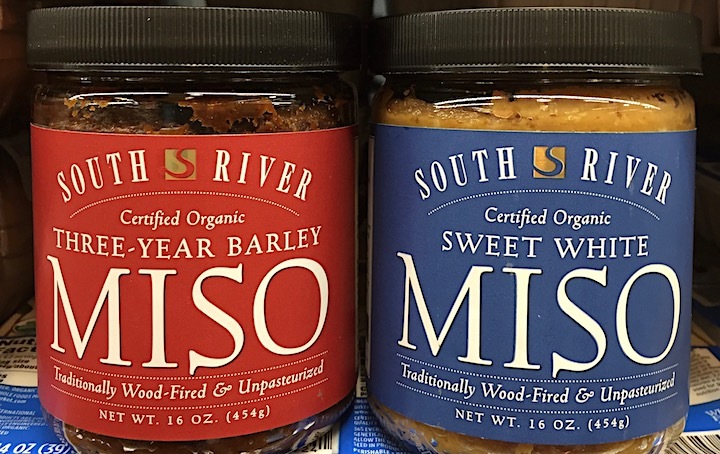 Technically, miso is fermented soybean paste and ranges in varieties from light to dark, from delicate to robust. 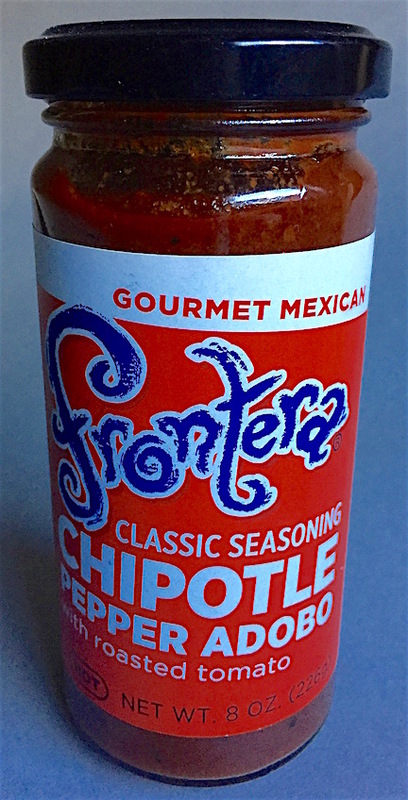 It adds umami, that extra dimension to a taste profile, both salty and savory. Miso can live in your refrigerator almost indefinitely so it is always there when you don’t know what else to cook. I learned to use miso right out of college when the Kushi Institute offered an introductory macrobiotic cooking class in my neighborhood. It was a moment when Japanese cooking was taking over Manhattan and beginning to replace Chinese as the major Asian restaurant trend. Miso soup in a little lacquer bowl started every Japanese restaurant meal and I was happy to learn how to make it at home. Our son loves it so much he orders two bowls to start his meal in a Japanese restaurant! 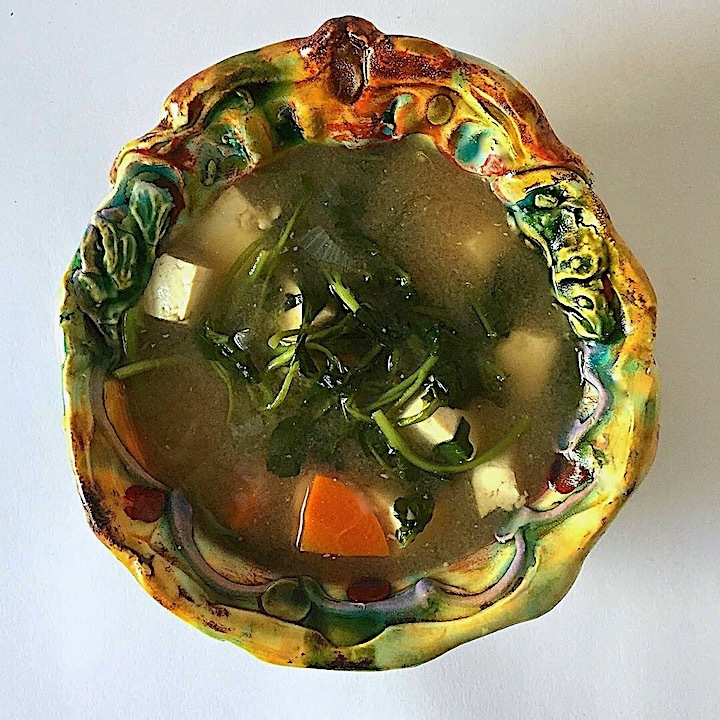 Not just flavorful but also healthy, Annamarie Colbin, the founder of the Natural Gourmet Cookery School, recommended eating miso immediately following surgery because of its contractive, healing power. 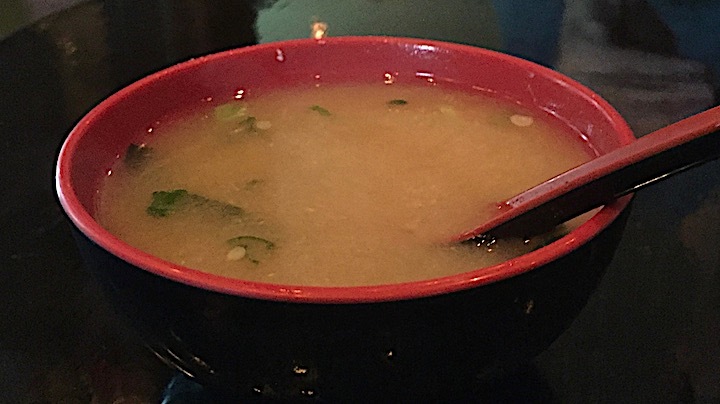 The simplest soup is made by just dissolving some miso paste in water. The next level adds that dissolved paste to dashi, a broth made by boiling kombu (seaweed) in water. 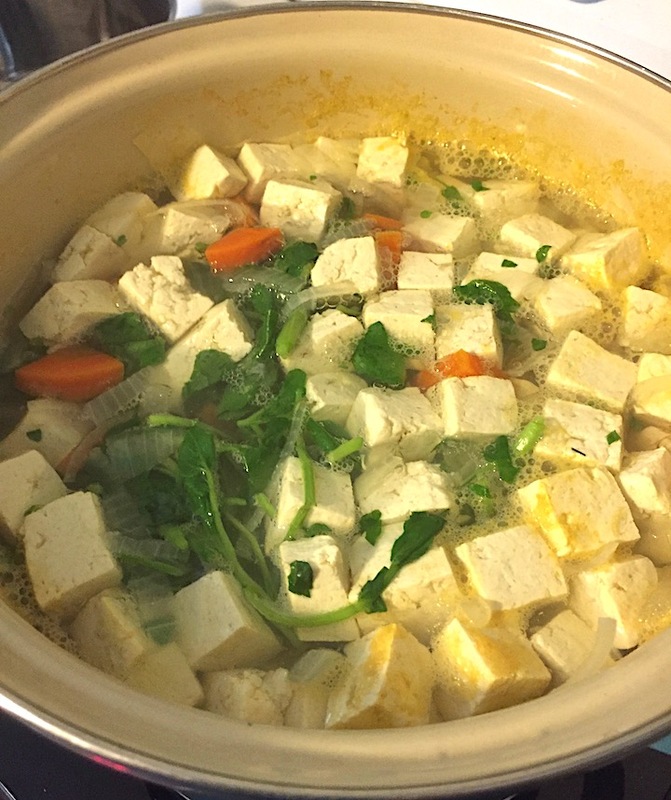 And in a third version, you add vegetables and tofu to dashi and then add the dissolved miso (never boil miso – it will lose its probiotic nutrients). If you have leftover rice, you can add some at the end of cooking. There are plenty of instant miso soup packets out there and they are adequate if you just need something for a lunchbox or travel. But for a real bowlful, take just a few minutes and make the real deal. Put the water and kombu in a small stockpot and bring to a boil. Add the sliced onions, return to a boil and simmer for 3 minutes. Add the carrots, return to a boil and simmer about 5 minutes. Add the tofu, return to a boil until the tofu floats to the surface. Add the watercress, return to a boil and turn off the heat. Remove the kombu and cut into bite sized pieces and return to the pot. If you don’t like the flavor or the texture, just toss it in your compost pail. Put the miso paste in a soup or small mixing bowl and add 1 or 2 ladles of the soup liquid. Stir until the miso is dissolved. It doesn’t have to be liquid, just loosened. Add the loosened miso to the pot, stir and taste. If it isn’t strong enough for you, dissolve another TBsp or 2 of miso paste and add to the pot. 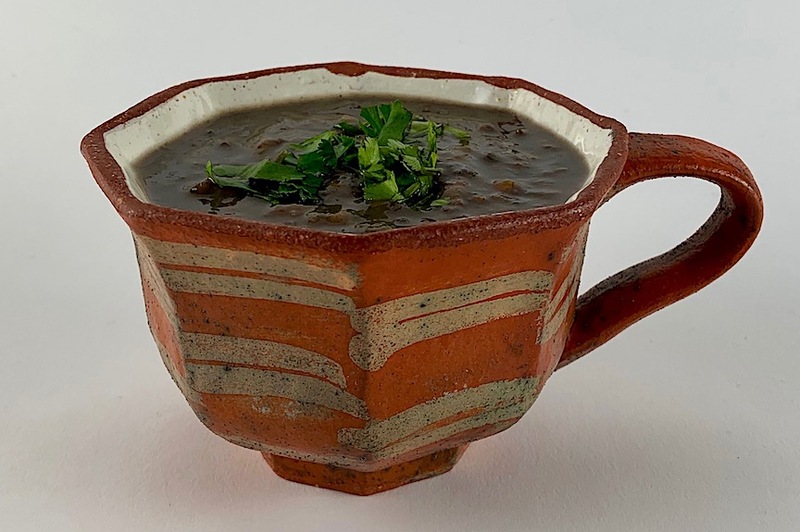 Ladle soup with vegetables and tofu into bowls, top with a little chopped scallion, chives or dill, if desired, and serve. Makes 6 dinner sized servings. If you have leftovers, store in the refrigerator up to 3 days. When re-heating, don’t boil, just warm. Add fresh greens, mushrooms or rice, if you like. 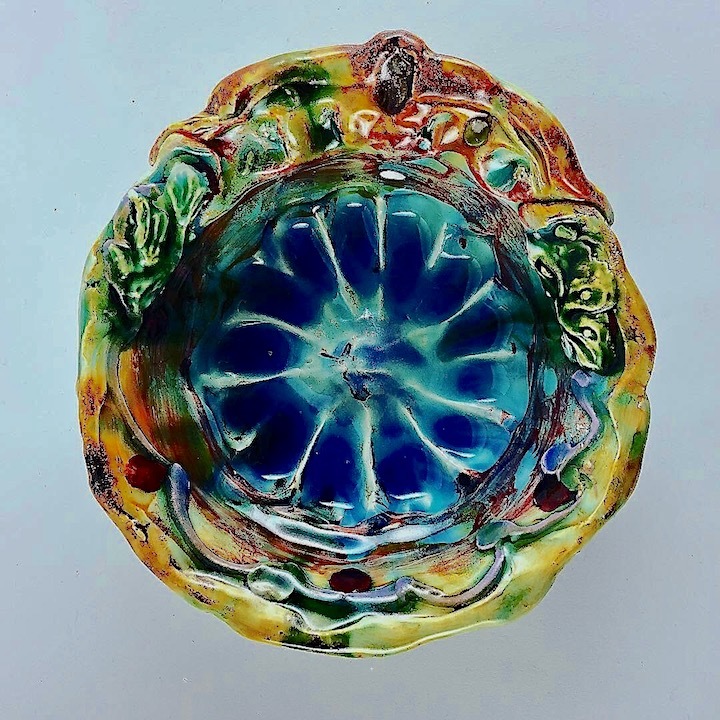 The empty bowl by Lisa Orr so you can get the full effect! What a Difference an Ingredient Makes – Even Better Soup! What a difference a small amount of an ingredient can make in preparing soup! 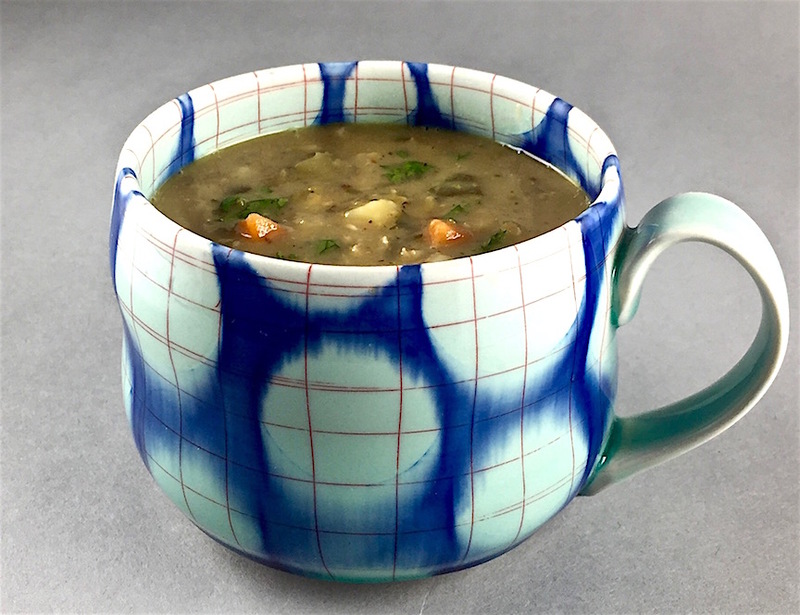 I make split pea and lentil soup quite often during the colder months and think they are both terrific recipes. 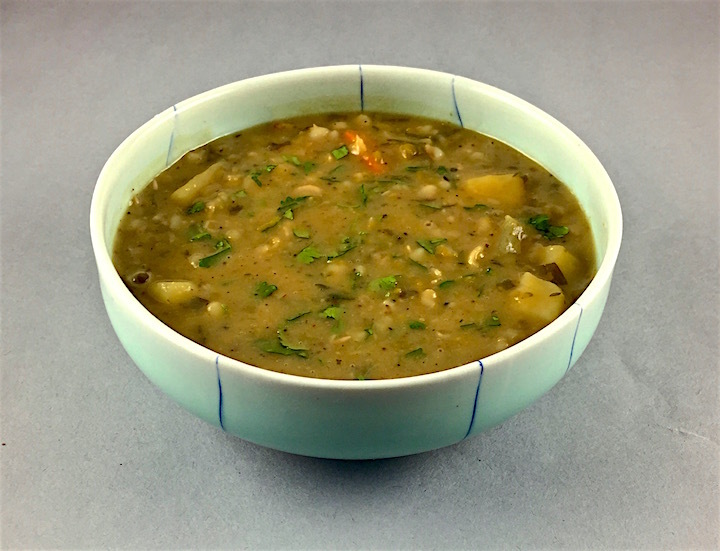 But when we had dinner at a friend’s home last week, his yellow split pea soup had me reconsidering mine. Paul told us he had not only added smoked paprika, which I do as well and which resulted in a big discussion of how to pronounce paprika, but also some chipotle pepper in adobo sauce. 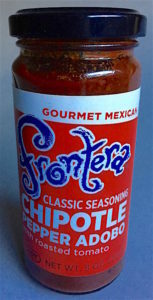 It increased the depth of flavor, making it not just spicy but also savory and smoky. My husband often adds hot sauce or Japanese red pepper to his food but this was hot and complex enough that it didn’t need any more heat. 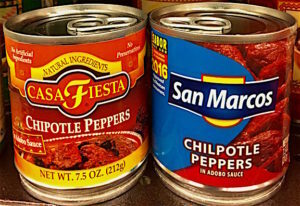 Chipotle in Adobo sauce is widely available in small cans like these. Store unused contents in a glass jar in the refrigerator. Other simple additions to soup recipes have big flavor boosts, such as adding fresh herbs. 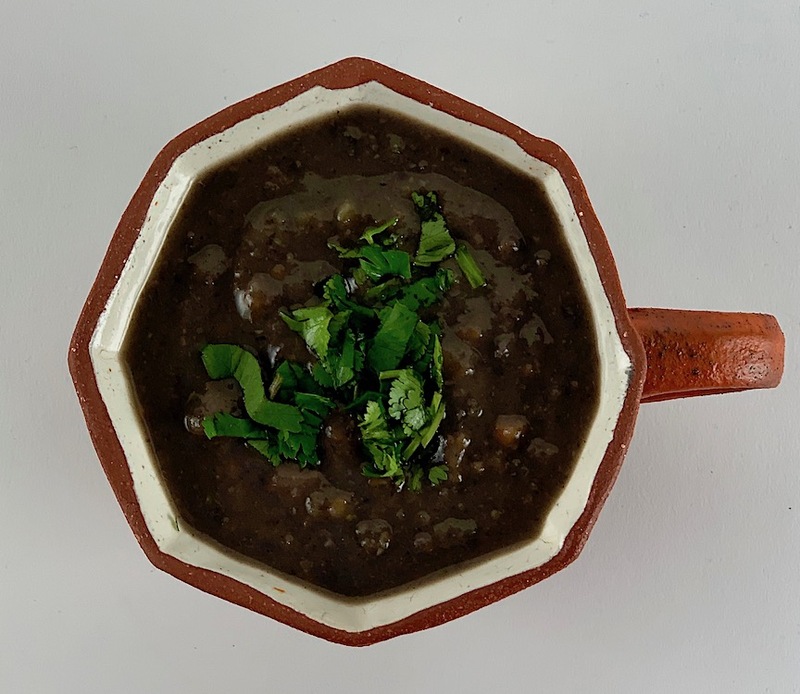 Try dill in lentil or chicken soup or cilantro in split pea, lentil or chili. 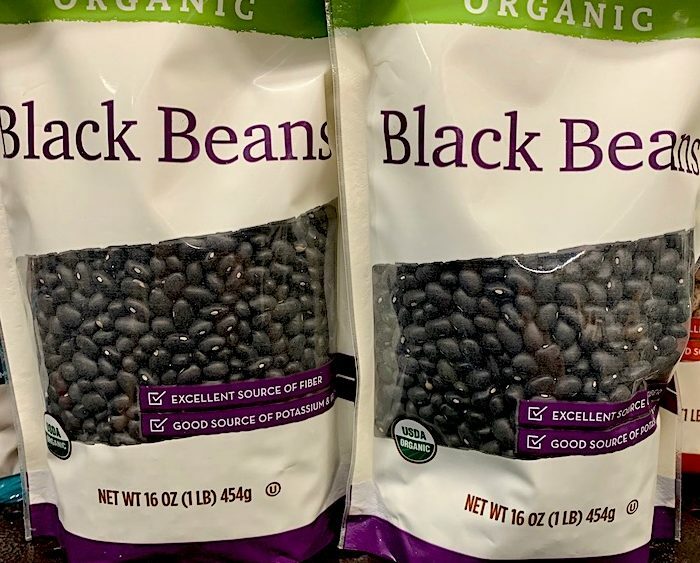 Ditto a can of chopped green chilis to pozole, a cup of cut up watermelon to gazpacho, Parmesan rinds or pesto in white bean or some turmeric or curry to your butternut squash soup. And certainly use up any leftover cooked vegetables, greens or salsa by adding them to the pot. There is always the reliable splash of vinegar or lemon juice at the end of cooking to zing up an otherwise bland sauce or soup. Coincidentally, I had just made a big pot of green split pea in preparation for a couple of nights when we would be getting home later than usual and would need dinner at the ready. Having a fennel salad (which improves with sitting) and freshly made sauerkraut in the fridge meant we could have a complete meal on the table both nights in about 10 minutes. When warming the soup, I added a spoonful of the chipotle chili with adobo sauce (you can buy it at most groceries or supermarkets-if canned, put it in a glass jar once opened to store in the fridge) and let the soup simmer for about 5 minutes. I topped each bowl with some fresh cilantro and put out hot sauce in case anyone wanted his soup spicier (which he didn’t). Don’t be afraid to try a new addition. As I found this week, even the most reliable recipe can be varied and improved. Thanks, Paul – it was delicious! Simple Chilled Cucumber Soup with Herbs – Just Blend! Labor Day has passed and although you may have put away your summer whites, summer vegetables are still plentiful in the markets. This is what we might label late summer, when ripe tomatoes are still available and the hefty winter squashes are just beginning to make an appearance. Although the intense heat of summer is gone, days are not yet cool and I still want something refreshing to eat so I make a simple cucumber and yogurt soup. Cucumbers last on the vine (and in my crisper) longer than most summer vegetables and if you grow them, you know they can pile up in August and September. A few weeks ago, I posted ideas for easy cucumber salads. The other way I love to prepare cucumbers is as the primary ingredient in a cold soup. It is light and refreshing, especially in the lingering humidity at summer’s end. If you are using organic cucumbers, you can leave the peel intact unless you don’t like the taste. Otherwise, please peel them – residual pesticides do no one any favors! 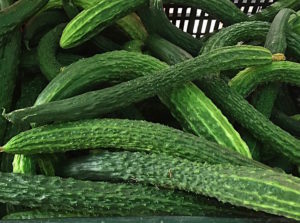 Cucumbers are very low in calories and high in water content which is why they are so satisfying on a warm day. This simple soup includes yogurt so it has protein and could be a complete meal, sprinkled with toasted pumpkin or sunflower seeds and served with a savory cracker or bread. There are almost too few ingredients to call this a recipe and it comes together very quickly and can be varied to suit your taste. It is essentially a little more cucumber than yogurt and if you don’t like mint or dill, for example, substitute fresh cilantro or basil. You could add some garlic or jalapeño for heat and a little cumin for spice. If you don’t eat cow yogurt, try goat, sheep, almond or coconut. Florence Fabricant published a recipe in The Times last year using avocado instead of yogurt so if you are vegan, try her recipe). Until the roasted vegetables and soups of fall replace big tomato salads and steamed fresh green beans, take advantage of cucumbers and blend up this easy and cooling soup. 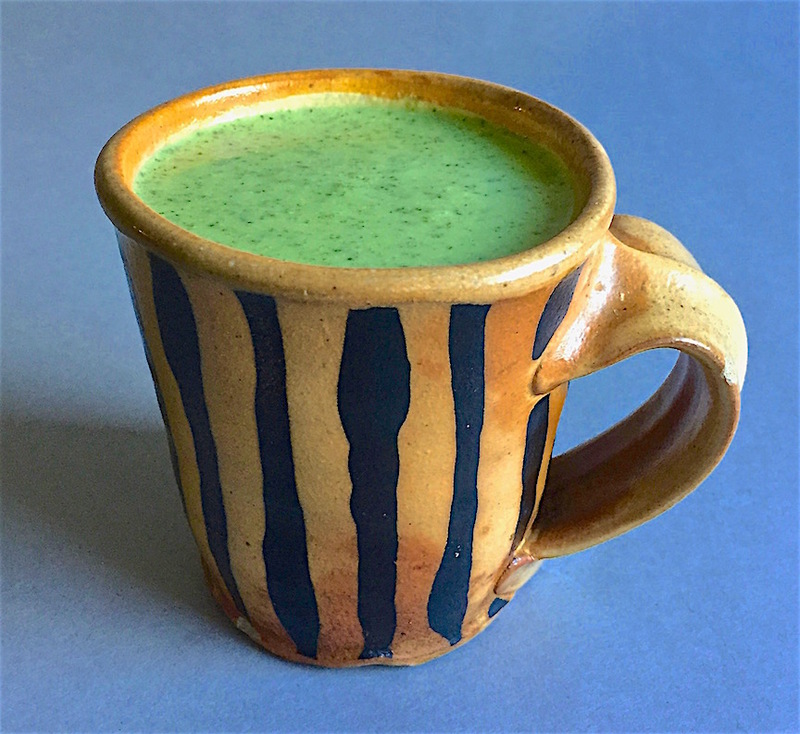 Blend all ingredients in a blender or processor until smooth and chill until cold. 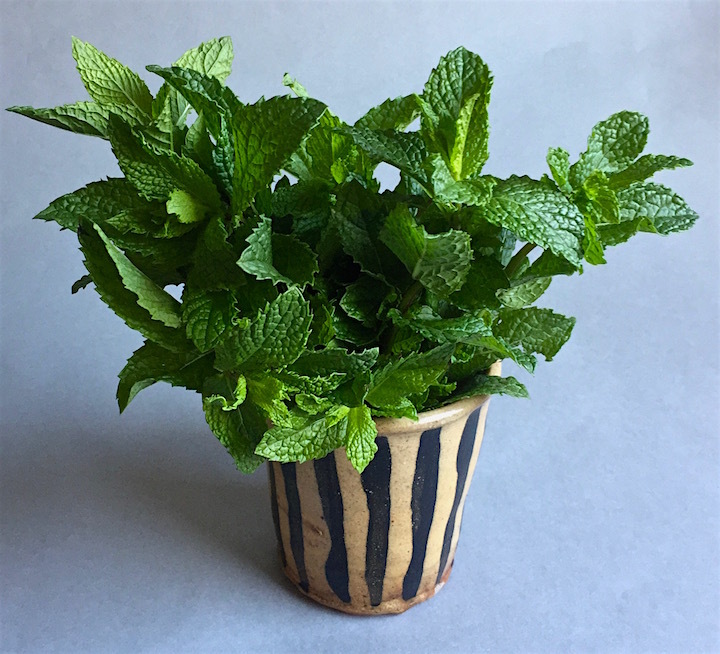 Serve in tumblers or mugs, garnished with mint leaves or chives. Serves 6. 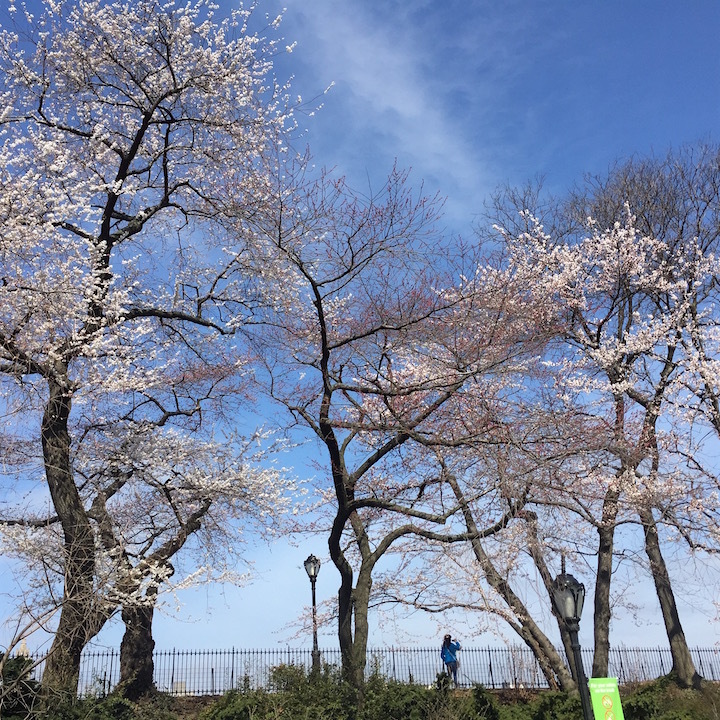 Even though we’ve changed the clocks ahead (when are we going to give up that antiquated routine? 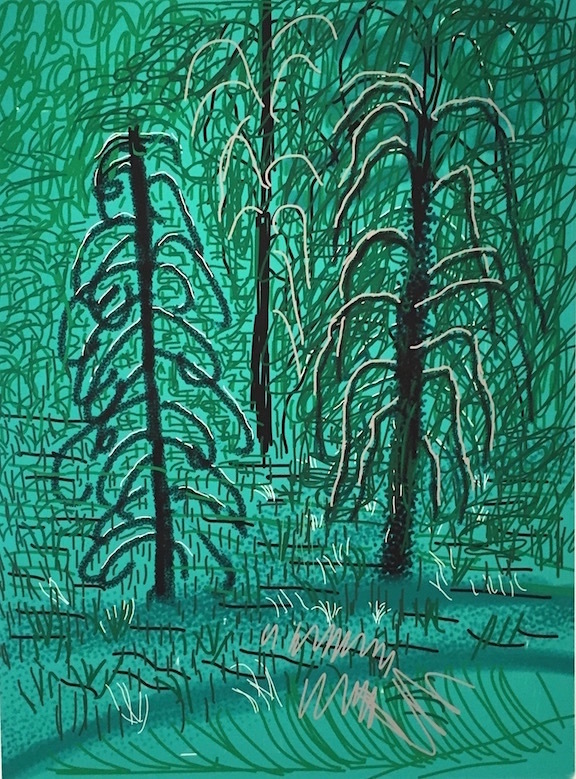 ), it still feels like winter in New York. Nothing like a little snow on branches to make us forget that Spring will be here next week. But it will. We’ve had little glimpses. And until it gets here, make soup and ginger tea, make oatmeal for breakfast before it gets too warm and be cosy! We will be traveling for a few weeks, researching food, wine, markets and all things clay. Be back in April with lots more posts. Until then, keep warm and enjoy bundling up with a steaming cup or bowl while you still are able.